Scars - the eventuality of poorly healed wounds, be it acne or other forms of trauma to the skin. Whether due to uncontrolled inflammation, as in acne, or wounds from trauma, scars can be minimised and sometimes avoided with good control of the underlying inflammation - hence the stress on the importance of proper acne management. For those of us who are late to the game and already bestowed with the unsightly scars, treatment to reduce their appearance is still possible and life-changing for many. Scars form when damaged skin attempts to heal - healing occurs in the background of uncontrolled inflammation, possible infection and excessive tension on the skin due to underlying pressure from fluid collection. Collagen and fibroblasts are laid down haphazardly and the resultant healed scar serves only one purpose - to close off the wound and protect the underlying skin from its surrounding environment. 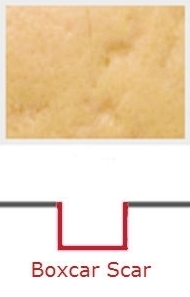 The scar is typically unsightly and uneven in tone and texture, leaving a trail of evidence of previous underlying toil. These scars are the final product of the healing pathway and are permanent, unless strong enough a stimuli is provided to promote a controlled and gradual remodelling of the underlying collagen. Scars fall into two sub-categories: Atrophic or Hypertrophic forms. Ideally, a single type of treatment would solve all of the above, but in view of the different shapes and types of scars, multiple modalities are often required for optimal results. 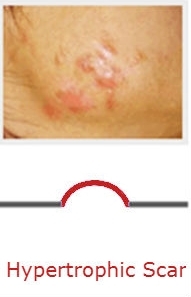 Skin resurfacing and stimulation with lasers is the mainstay of scar treatment. Light and heat energy is used to break down scar tissue and force remodelling of collagen over the course of months to a year. Downtime varies depending on the lasers and intensities used, and 1 treatment is done every 4-6 weeks for up to 5-8 sessions for optimal results. Improvement in scars have been shown to continue for up to a year after the last session of laser, so be patient and watch as your face continues to improve over time. Certain scars require slightly more precision in management. 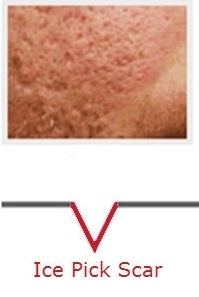 Scars such as narrow ice-pick scars tend to be difficult to treat with lasers, and the use of chemical peels into the depth of these scars effectively release these scars. A treatment is done every 4 to 6 weeks, and depending on response, can take between 3 to 5 sessions for optimal resurfacing. This treatment is often followed by lasers to continue with the remodelling of the scar for optimal results. Deeper scars are often stuck down to the deeper dermis and require manual release with a needle. This allows levelling off of scars for a smoother contour and a less obvious scar. Fillers are then placed beneath the scar to prevent it from re-attaching and also to stimulate collage growth for a more permanent improvement. AGNES Combines the benefits of deep needling of scars with effective delivery of radio-frequency to stimulate scars and effect scar remodelling. Needles are insulated at the top to prevent damage to the overlying skin, further ensuring best results for scar treatment. Box scars are wider, with a more exposed scar base. They might or might not be tethered down to the deeper layer. Key treatment for box scars include the resurfacing lasers. 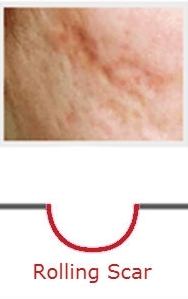 Rolling scars a longer and larger scars, with possible tethering to underlying deep dermis. Key treatment for this is also the resurfacing laser. HYpertrophic or keloid scars are a different genre of scars - the healing rate is excessive and there is an abundance of scar tissue overlying the original wound. Treatment is aimed at stopping its growth and removing it, but recurrence can be high. 1. 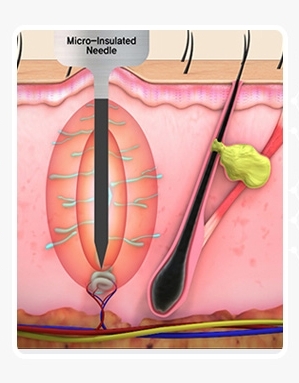 Intra-lesional steroid injections: Steroids are injected into the scar at regular intervals to shrink the growths. 2. Surgical excision: Growths can be surgically excised, but recurrence of such scars have been as high as 50%. Scar treatment is clearly not as straightforward as it once was. With the increasing understanding of scar tissue, new technology and their effect on these scars, optimal results are best seen with a combination of procedures. The first step is identifying what type of scarring is present, then selecting the treatments in a reasonable sequence that would ensure each treatment benefits as much of all the scars present as possible. As such, a meticulous consult and pre-treatment plan should be established before commencing any therapy. Multiple modality treatment is invariably more expensive, but ensures you do not plateau after several sessions of poorly selected therapies. Acne scar management is, effectively, permanent. The time and effort you place in the treatment of your scars is ultimately an investment that you will find worth your while, as much as we do in helping you regain that skin you once lost.